As the off-road world prepares for this weekend’s annual gathering at the 2014 Lucas Oil Off-Road Expo Powered By General Tire, NORRA (National Off Road Racing Association) today announced new event formatting and tire sizes for next year’s General Tire NORRA Mexican 1000. Citing the need to stay true to NORRA’s “Honoring the Past. Forging the Future” event theme, next year’s Mexican 1000 will separate the Vintage four-wheel classes from more modern Evolution and Rally categories. Beginning in 2015, the unlimited-style Vintage class vehicles must represent vehicles (and some technology) that were built by 1992 or earlier. NORRA will also insure that certain vehicles classes with limited wheel-travel can also participate with the Vintage categories in the rally. The fun-themed rally -- known affectionately as “The Happiest Race on Earth” -- is scheduled to take place from Saturday, April 25 through Wednesday, April 29, 2015 and will run the length of the Baja peninsula from the seaside city of Ensenada to the white sandy beach resort town of San Jose del Cabo. 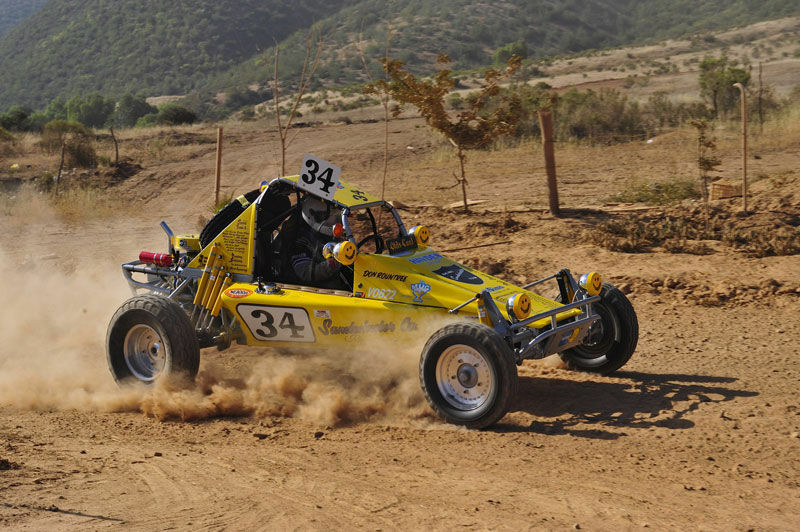 For 2015, NORRA is working toward balancing the needs of vintage racers like Don Roundtree and his recently restored Sandwinder Buggy (top) with the desires and capabilities of modern high-performance cars such as this Team El Martillo four-seater. More modern historic unlimited off-road vehicles built after 1992 will run with the Evolution and Rally-Raid-based vehicles in a newly named “Historic Trophy” category. While the 2015 NORRA category regulations are still being finalized, the sanctioning body will also institute new tire size rules. Next year all Vintage four-wheel classes will be limited to 35” tall tire sizes, while all Evolution, Rally and Historic Trophy vehicles cannot use any tire larger than 37” tall. Along with tightened regulations regarding various Vintage classes, NORRA will also offer separate routes used on each of the four rally day’s to better suit both types of four-wheel vehicles. 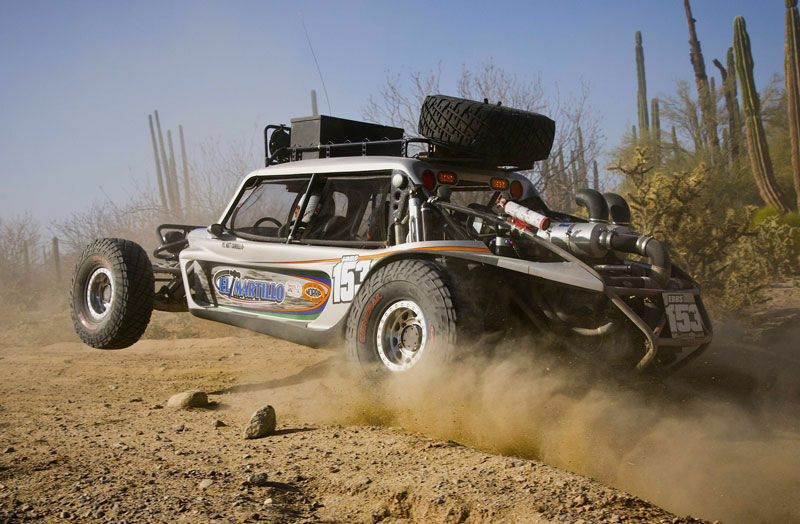 NORRA used a similar split route format with very positive results in 2014 and looks to better perfect that unique concept at next year’s 6th annual Mexican 1000 rally. Next year’s rally will once again separate cars and motorcycles with enough time and distance between two and four-wheel entries to insure participant enjoyment and safety. 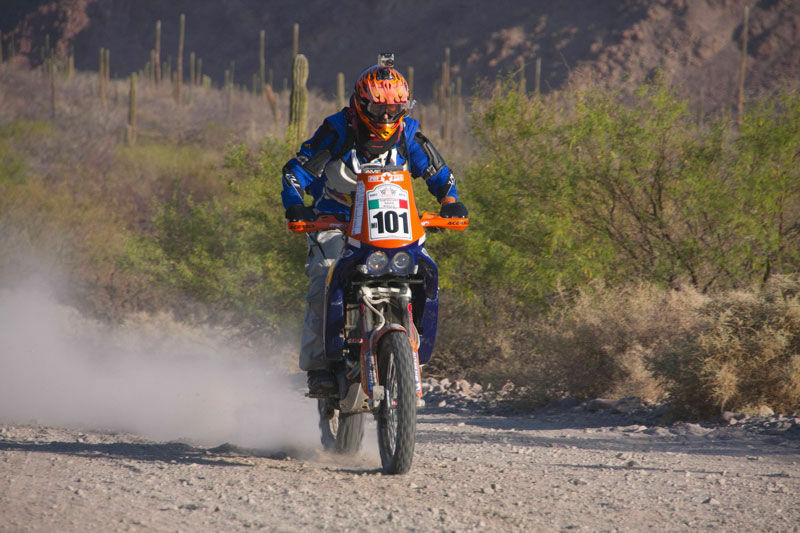 Motorcycles are an important component to the NORRA Mexican 1000 family of competitors. As it did in 2014, next year NORRA will again evolve its motorcycle format to highly elevate the safety of two-wheel racers all the way down the Baja peninsula. In addition, those choosing to compete in the Vintage classes will run using NORRA’s traditional GPS (with road book back-up) navigation format, while all Evolution, Rally-Raid and Historic Trophy classes must adapt to the road book and odometer navigation (with limited GPS files as back-up) used in international rally-raid events. As has been NORRA tradition, the routes will be kept secret until just prior to the rally’s start, with no pre-event course reconnaissance (pre-running) allowed. A diverse field of over 200 trucks, sedans, buggies and motorcycles are expected to take on a 1,300-plus mile, four-day on and off-road rally in 2015. In keeping with a popular NORRA tradition, online registration for all participants in the 2015 Mexican 1000 will once again commence precisely at 12:00pm (noon, PST) on New Year’s Day, January 1st. NORRA is supported by the generous support of General Tire, American Racing Wheel, Azunia Tequila, South Point Hotel and Casino, Walker Evans Racing, Bilstein Shocks, KC HiLites and MasterCraft Safety.